Assembly: I.) warm up filling; II.) add spinach to filling; III.) grate Swiss cheese; IV.) 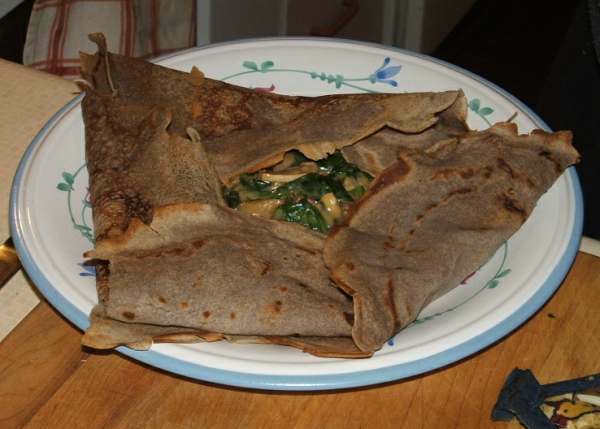 arrange cooked crepes on plates; V.) scatter grated Swiss cheese; VI.) ladle filling over cheese just before folding over edges. ...to blog from OUR kitchen - did your remember to have your shroves on Tuesday?